Come take a glimpse of the next part of the War for the Crown. 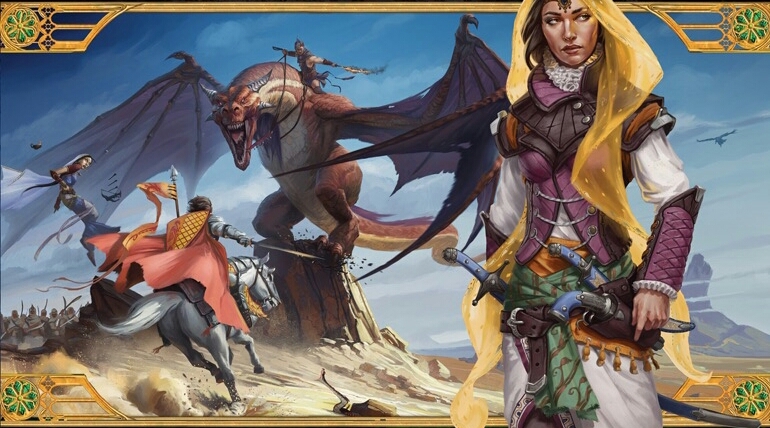 Hey folks, weve got a preview of the upcoming part 3 of Taldor’s War for the Crown. I’m really enjoying what I’m seeing for this Adventure Path–and we’ve got a special treat regarding it on the not too distant future (la la la), so be sure and stop by to check it out. In the meantime, take a loo at The Twilight Child, which will be available for preorder in April. Find out who is poised to take advantage of a country in turmoil–as the war for the crown rages on, shadows come to the city of Yanmass. Dark shadows haunt the trade city of Yanmass, spreading chaos even as the city’s leaders debate which royal heir to support in the growing civil war. Their soldiers are vanishing, bandits attack without fear, and a mysterious plague of nightmares rattles the populace—are these troubles random, or part of a larger conspiracy? And what role do the mysterious Twilight Child and the cultlike following he has attracted play in the chaos? 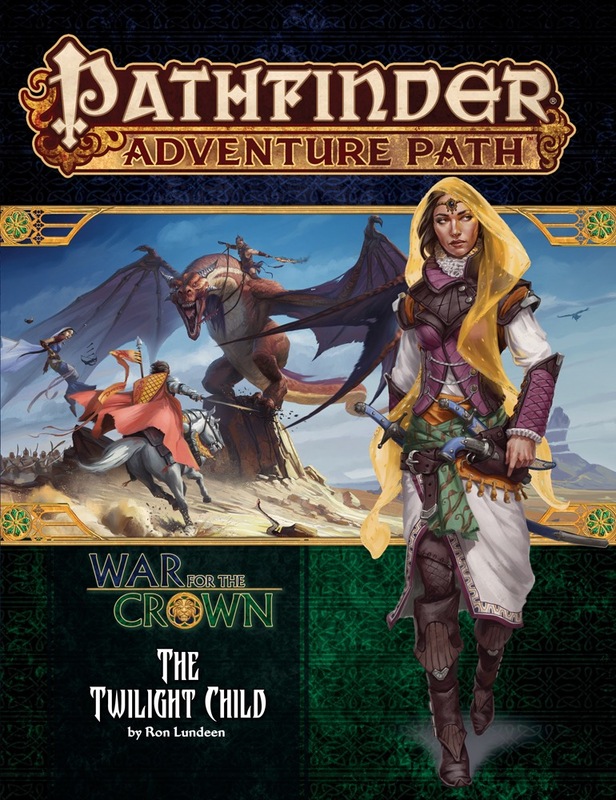 “The Twilight Child,” a Pathfinder adventure for 7th-level characters, by Ron Lundeen. A gazetteer of the city of Yanmass, the caravan hub of northern Taldor catering to travelers from across two continents, by Ron Lundeen. An ecology of the mysterious and bureaucratic servants of death known as psychopomps, by F. Wesley Schneider. A thoughtful exploration of resurrection, the strange role it plays in the world of Golarion, and how the various gods react to this violation of the natural order, by Patchen Mortimer. A collection of strange beasts that roam the Whistling Plains, from the thieving grassling to the explosive bloodplate burster, by Ron Lundeen, Andrew Mullen, Richard Pett, and David Schwartz.